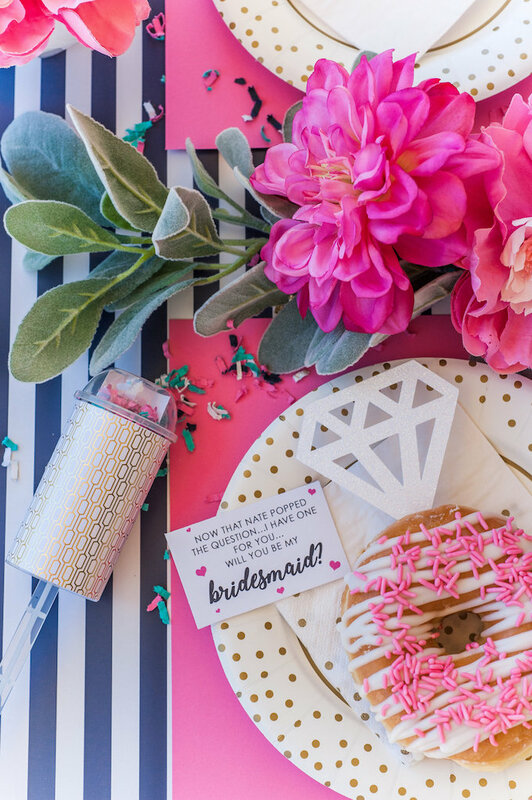 Proposals are such a very exciting time in ones life. 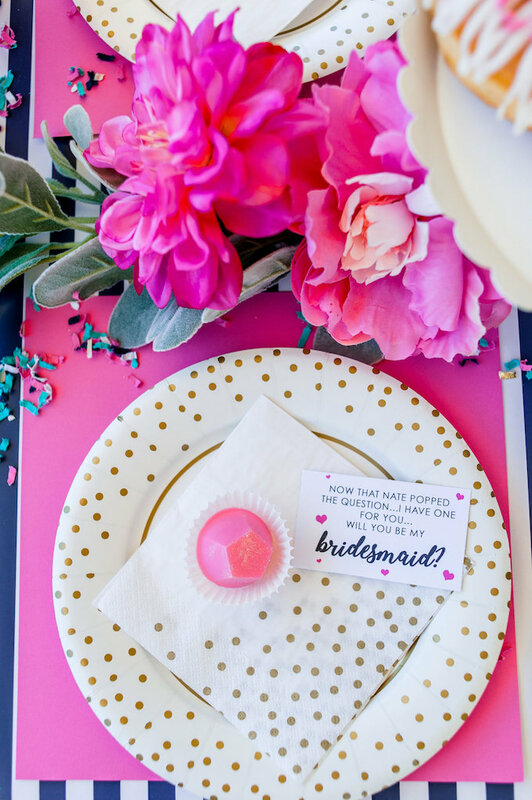 Why not share the excitement with your besties with this awesome Bridesmaid Proposal Brunch Ideas for your Bride Tribe. 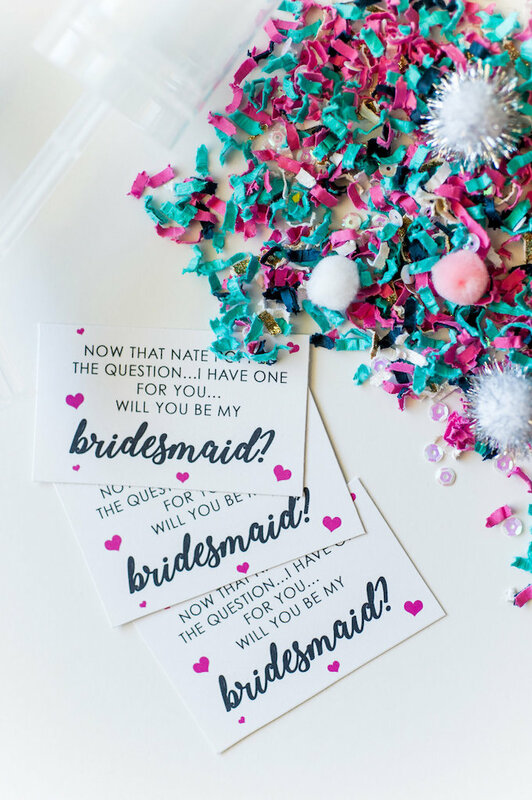 Plan a fun way to POP the question about joining the bridal party in a few easy steps. 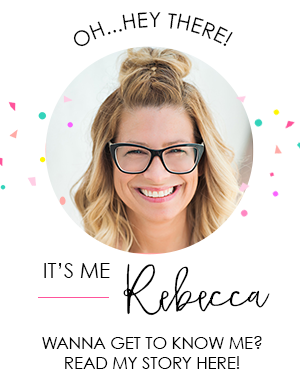 I am going to show you a gorgeous way to put together a bridesmaid proposal that will have all of your girls giddy for your “I Do’s”!! 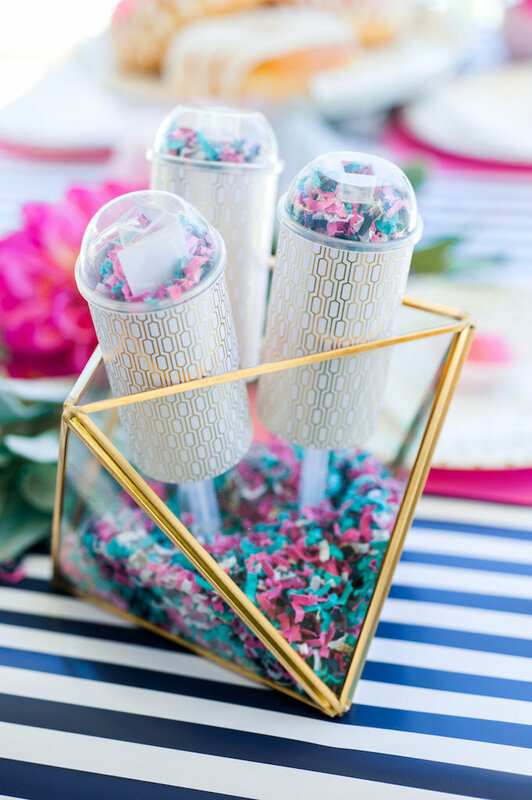 Wrap your Push Pops with decorative paper and secure with a piece of decorative wash tape. I used one of the push pop containers to measure where to trim the paper. 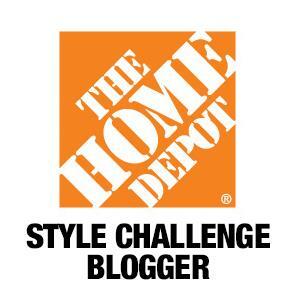 Next, print 3″ x 2″ tags with the question you want to “POP”. Fold the note in half and place into the push pop. 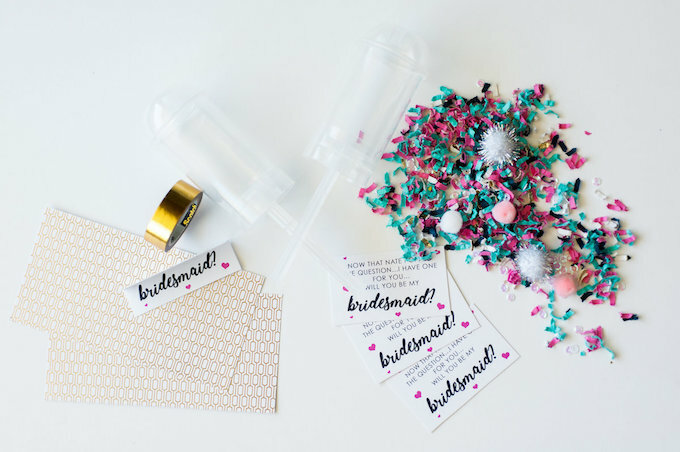 Fill the push pop with confetti of your choice. 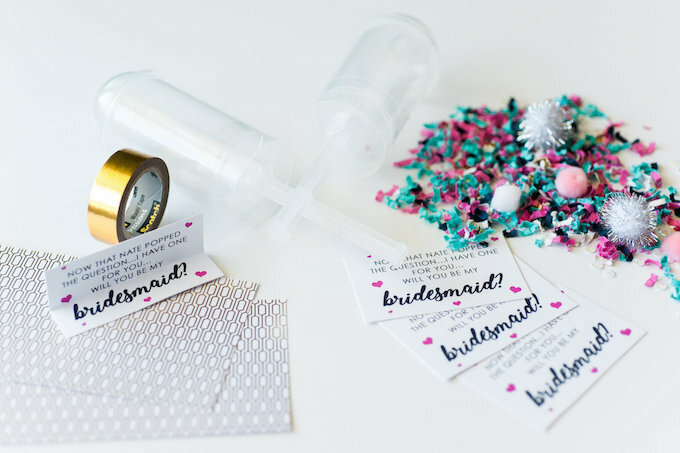 I used a mix of paper shreds, punched paper and mini poms. Then, once you message is buried in the pop place the top on and you’re ready to go! I found this DARLING gold terrarium to hold the proposals. 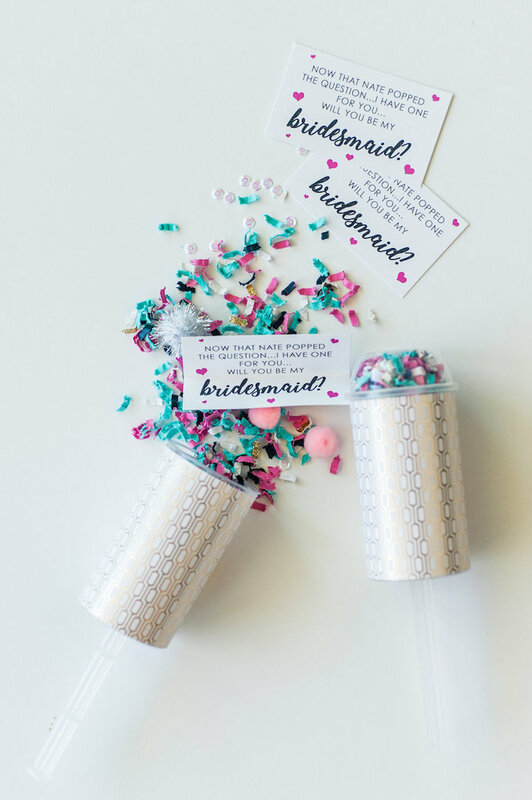 I used my extra confetti to fill the bottom and placed the filled push pops in it. 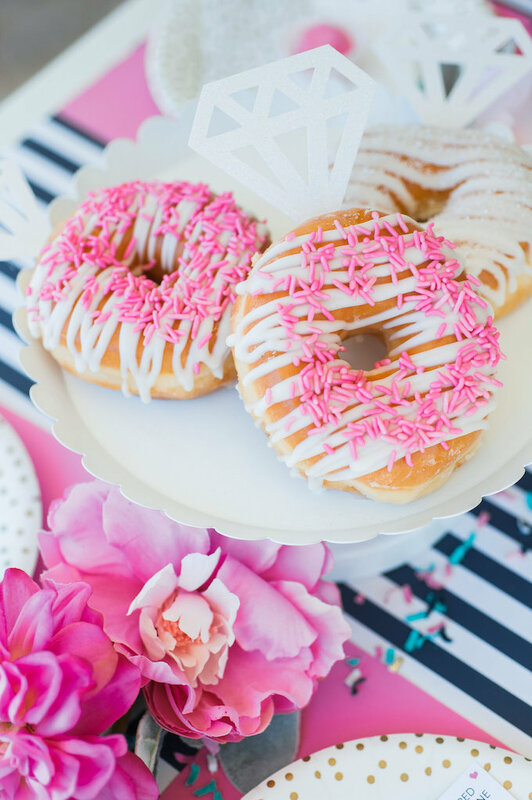 It was a perfect addition on the brunch table to double as decor. 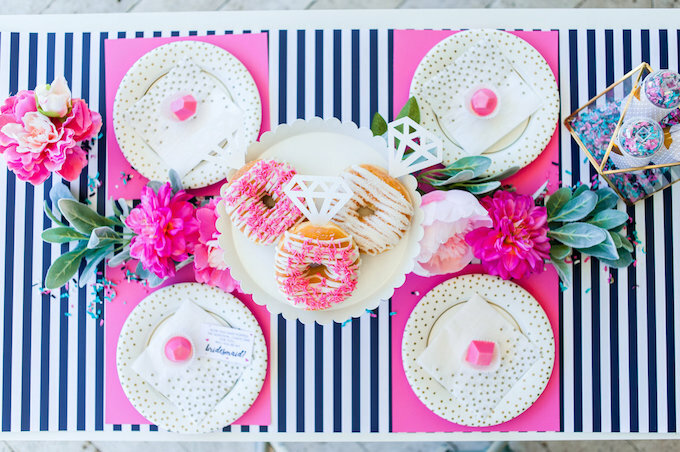 I used simple details for table to set the tone for a brunch to pop the question. 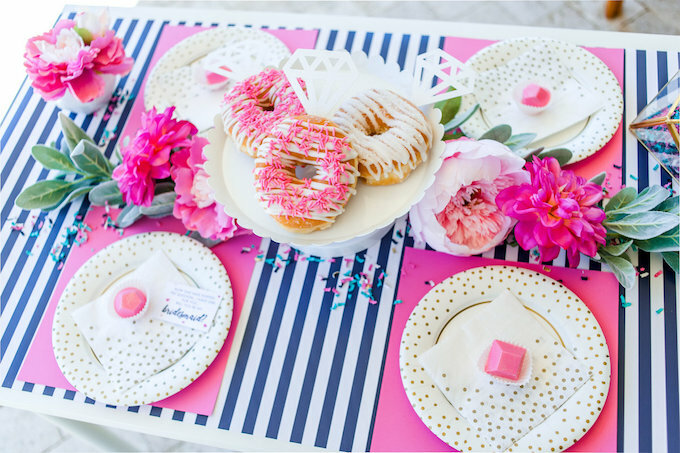 Gift wrap or a decorative paper roll is my go-to to line the table for a touch of color & pattern that adds just the perfect about of design detailing to any table scape. Then I layered pieces of scrapbook paper cut down as placemats to fit these darling gold dot plates & napkins. 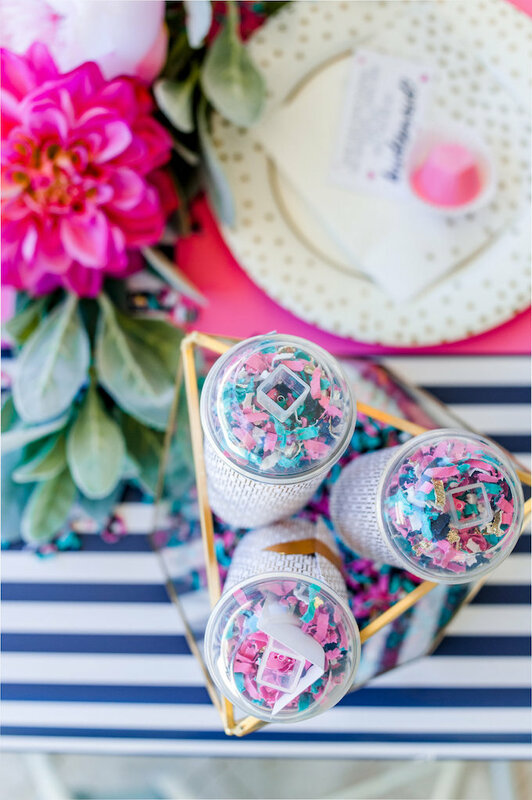 I sprinkled the same confetti from the push pops down the table to bring in a mix of color. 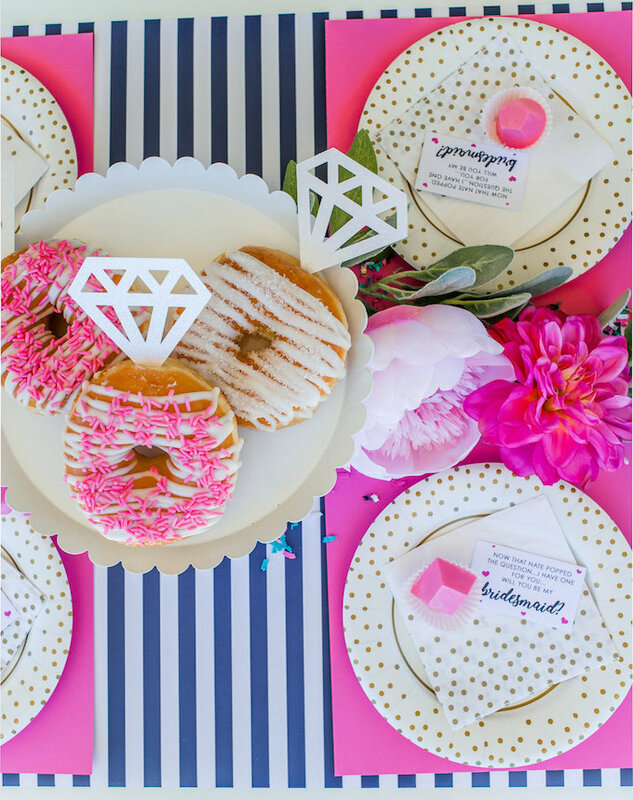 Diamond donuts were the centerpiece with cut florals and green leaf sprays layered as a table runner. 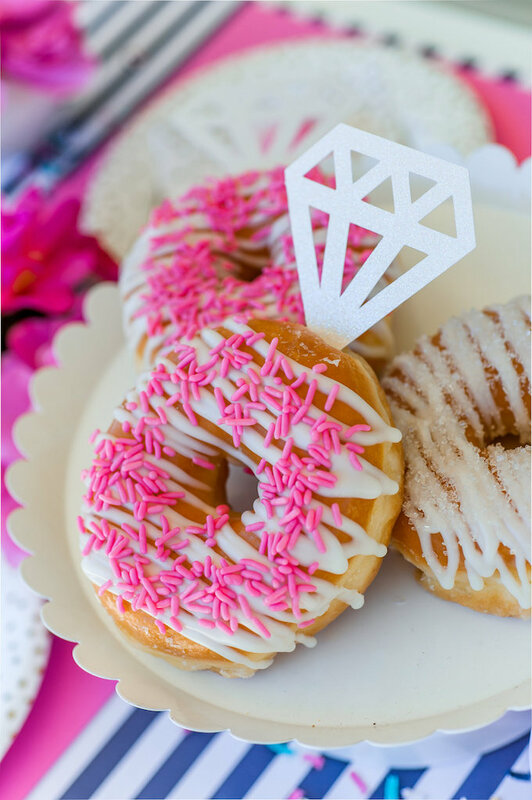 Diamond Ring donuts & gem shaped candies are a fun treat to serve that really plays up the theme. 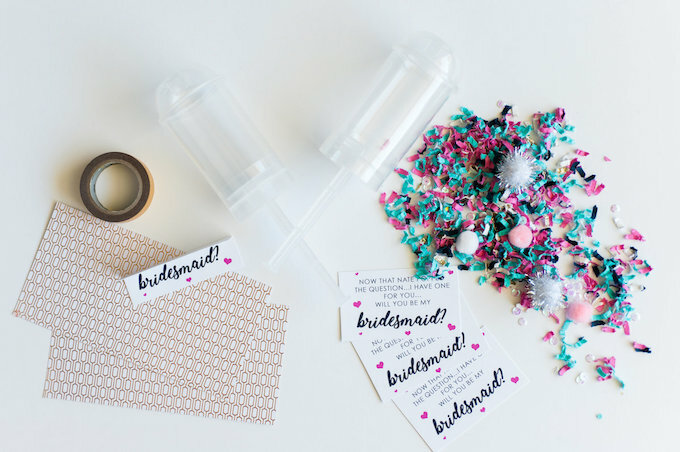 So, now that HE popped the question…do you feel ready? 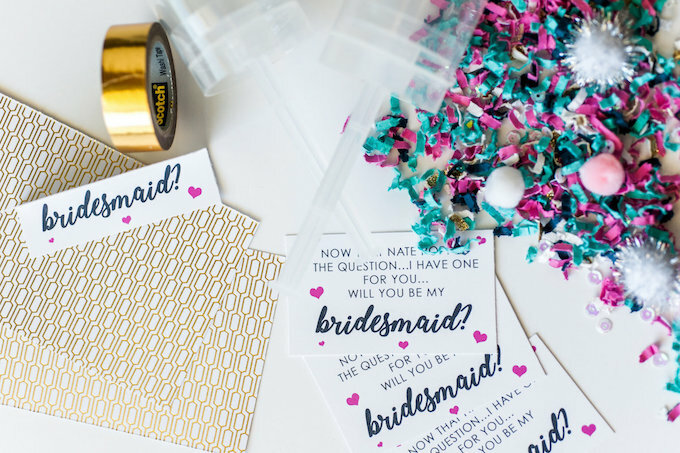 Gather up the perfect party supplies from Joann and grab your girls to create the perfect bridesmaid proposal!